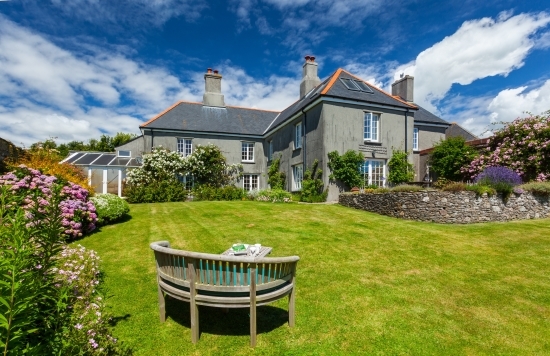 Located in the heart of the South Hams with distant sea views, South Langston is a delightful traditional farmhouse with flexible accommodation and many lovely character features. Particularly pretty is its walled garden. It comes to the market with a substantial detached barn with planning permission, stabling, garaging/workshop and just under 5.5 acres. The peaceful setting of the property set in the soft Devon countryside, close to the sea, is idyllic and the pretty walled garden offers attractive areas for al fresco dining. The property gives opportunities for a variety of uses including a home with holiday let/income, a family home with ancillary accommodation or smallholding. It is a real tucked away Devon gem. Set in the small, peaceful and unspoilt village of Kingston. Just a mile away from the glorious sandy Wonwell Beach with easy access in several village places to the South West Coast Path, South Langston is well situated for leisure and country lifestyle pursuits. The stables, tack room, work shop and barns are ideal for equestrian enthusiasts. South Langston is offered for sale with a guide price of £1,000,000. For further information please contact Marchand Petit’s Prime Waterfront & Country House Department 01548 855590, email pwch@marchandpetit.co.uk or the Modbury office on 01548 831163, email: modbury@marchandpetit.co.uk.